If you are looking forward to being a certified nursing assistant, here are some of the necessary skills that you will need to possess. These are important as they are skills that you would have to use on the job everyday. These CNA skills can be learned or acquired and you will find that with proper training and practice things will come more easily. Certified nursing assistants are expected to take care of elderly people, the physically incapacitated, as well as patients who are in the process of recovery. They are needed to assist nurses and physicians in some aspects of their job, and duties will often be performed under their guidance. These are the basic skills that you need to know once you become certified. They will be the daily tasks and routines that you will need to perform that you will encounter in your daily rounds. These duties need some proper discretion as to avoid making the patient feel embarrassed and that would need some time to develop. You also will be the one to handle your patient’s requests. You have to be immediate and quick in your response as they can sometimes be for emergencies and may mean a matter of life and death. You also need to alert regarding any changes that a patient may have after taking some medication or food so that you could report them immediately to the nurse or physician available. Minor incidents need to be reported as well and a keen observation would be one of the necessary skills that you would need for it. Knowledge of CPR is a good thing to have in such cases especially when there is nobody else around who is capable of administering it to the patient. 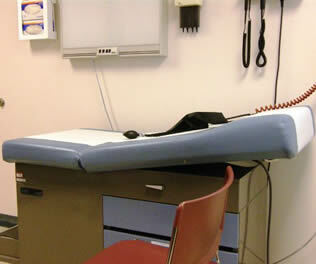 You would also need to fill-out forms for your patient’s charts and also to check for their vital signs as well. These skills are all taught in school and a good grasp of them is required before you become certified. Knowing the terminologies and the proper information to fill is a necessary part of your job. Becoming a certified nursing assistant is a major responsibility. You will be the one to be in constant contact with the patient and so would be the first to notice any sign of change in them. Knowing what to do in emergency cases and giving the proper information to the person in charge would be some of the major skills that you would have to master in order to be efficient in your job. Handling your patients both emotionally and physically well is also another skill that you need to master to have a good relationship with them. One of the most important things to learn and take to heart when you are getting your certification is the clinical skills test checklist. It accounts for more than half of the passing grade in some states which gives you more reason to focus on this particular aspect well. Most test takers find the theoretical exam much easier than the practical skills test, where they will be scrutinized very carefully on how well they can deliver the skills that they have learned for the few months of CNA training. Execution can sometimes be very tricky especially if you have not practiced well during your clinical sessions at the training center. The certification exam is your day of judgment on your path to becoming a full-fledged nursing assistant. By being able to pass this test successfully, you will gain the opportunity to work as a nurse aide in any public of private health institution in your state. Taking the type of work that a health care professional will be involved with in their future employment, the state has made stringent rules on the certification exams. One will be tested carefully if they really know the nature of the undertaking that lies ahead. This can be determined more carefully during the clinical skills test which can usually be the second part of the certification exam. In this test, you will be asked to demonstrate predetermined or randomly selected skills which you have learned during your training. It is at this point where you will be assessed on whether you can really do the tasks that shall be demanded from you once you get hired. You may be tested on any of the following skills depending on the state where you will be taking your exam: Hand washing, assisting patients with the use of a bedpan, using transfer belts for ambulating patients, cleaning dentures both upper and lower, feeding, dressing, and giving bed baths to patients, giving passive types of exercises to the patient, positioning the patient on his or her side, putting snit-embolism stockings to the patient, counting a patient’s radial pulse and respiration, using protective personal equipment, measuring solid and liquid outputs of the patient, determining a patient’s blood pressure, providing nail, mouth and foot care to the patient, giving catheter and perineal care to the patient, and transferring a patient to a wheelchair with the use of transfer belt. Mastering each of these CNA skills is very important if your state requires you to perform randomly selected skills during the certification exams. You need to pay careful attention to each and every task that you are required to do as well as perform all of the required skills with ease and perfection. It will be the only way to make sure that you pass the test. Prepare your mind well before taking the exam. Panic, which is a very common experience among first time test takers, can be avoided if you are mentally as well as physically prepared to do all of the said tasks. If you wish to become a CNA, one of the most important skills that you would need to learn is hand washing techniques for nursing assistants which can be said to be the most basic yet, the most significant skill that you should learn. Hand washing is an important task that you need to do before performing all the other tasks that you will be required of you. It is an important step in preventing the spread of disease and infection which can be one of the distinguishing factors between getting worse and getting well. Hand washing not only removes the visible dirt that you can see on your hands, it also destroys and removes microbial infections that you may be carrying under your nails and other parts of your hands. That said, it is therefore needful for you to do this very simple task before handling your patient or any of his or her things. You will need to this before and after those tasks that you will do on your patient. Prevention of the spread of disease is one of the goals of a nursing assistant, and through this task, you will be doing this very significant aim a huge favor. To start washing your hands, you need first to remove all jewelries and accessories that you may have on your wrists or hands. This is to be better able to remove all the dirt, both visible and invisible, which may be hiding on hard to reach areas as well as to prevent any of those which are in your accessories from contaminating the patient. The sweat that accumulates on such accessories are good breeding grounds for some bacteria which may not be removed if you wash your hands wearing them. 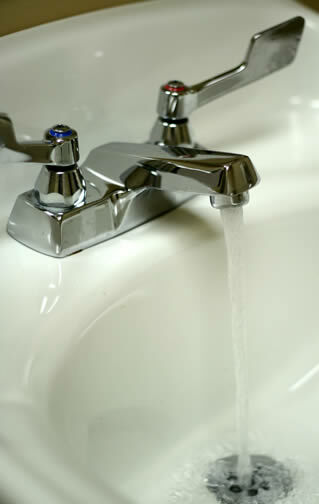 Next, turn on the water on the tap and make sure that it will not be too hot or too cold for your skin. Wet your hands up to your wrists and then use a sufficient amount of soap to give your hands a good lather. The time allotted for this task is usually from 15 to 30 seconds depending on the rules of the state where you will be taking the test. Rub your hands vigorously against each other for the duration of that period making sure that you apply significant time in each and every area of your hands such as the spaces between your fingers, the area around your nail cuticles, beneath your nails, and area which are immediately surrounding the wrists. After this, with the water still turned on, start rinsing your hands under the water with your hands on a downward direction. Allow the water to flow from your wrists to the tips of your fingers as this would prevent any bacteria from contaminating other parts of your hands. 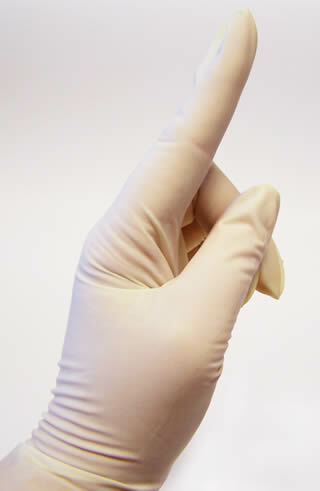 Take a disposable or paper towel and dry your fingers starting from your fingers and ending in your wrist area. Use the paper towel to turn the water off and then dispose of accordingly. Following these steps carefully will help you not just pass the certification test, but improve you and your patient’s health as well. Learning how to perform indirect care skills for nurse aides well is sometimes considered to be one of the least important priorities for applicants, which is definitely not correct. Nursing assistant students often tend to ignore this particular aspect of the training and prefer to just go through them as quickly as possible before taking the certification exam. Since it only involves the easiest tasks to perform, they can well be reviewed just before taking the certification exams. What these nursing assistant students do not understand however is that these skills are important and performing them well is a vital part of the job. They are small tasks indeed but without them, you can never give the proper care that your resident will be expecting you to perform. They involve communication skills, resident rights, safety and comfort, and infection control. They are skills which will not provide the direct performance of clinical skills but will be an important part and aspect of delivering such skills. The first is about communication skills. The important thing that you will need to learn about this skill is the proper way of communicating with a resident. You need to give them the proper respect that is due to them. It is important not to offend them by addressing them in an informal or familiar way. You also need to greet and introduce yourself when you enter their room and explain to them why you are there. Discuss to them the process that you will be performing so they will not feel violated and for them to understand the process. The next is about resident rights. This includes the very significant right to privacy, as well as their rights to choose what is done with their body such as those which are involved in grooming and the type of meal that they will eat. You also need to respect the resident’s feelings by not calling them names and also, you need to help them establish a sense of independence which is a very important human right. Safety and comfort are two very important aspects when it comes to providing care. Making your patients safe should not entail great discomfort to them and that their comfort should not also stand in the way of their safety. Make sure that before you perform a procedure, your patient is not at risk of falling or injuring himself during the process. Check if the side rails are up if you will be rolling your patient; that wheelchairs and beds are locked when they need to be locked; or that call lights are within their reach. The last but not the least is infection control. This includes all the tasks that you need to do in order to make sure that you will not be spreading sources of infection near your patient or in his or her immediate vicinity. It involves using gloves, washing your hands, avoiding surfaces which may contaminate you or your patient’s things, and using clean materials for any procedure that will involve direct care with your patient.